Storyboard That's new worksheet templates can be customized with any of the artwork that Storyboard That offers. To make your worksheet start by selecting one of the page layouts and then a template for the page. After making those selections you can customize the template by adding any of the shapes, text boxes, and artwork that Storyboard That provides to your worksheet. To add items to worksheet simply drag them from the artwork menu onto your worksheet page. You can then customize the color, size, orientation, and spacing of the elements that you added to your page. 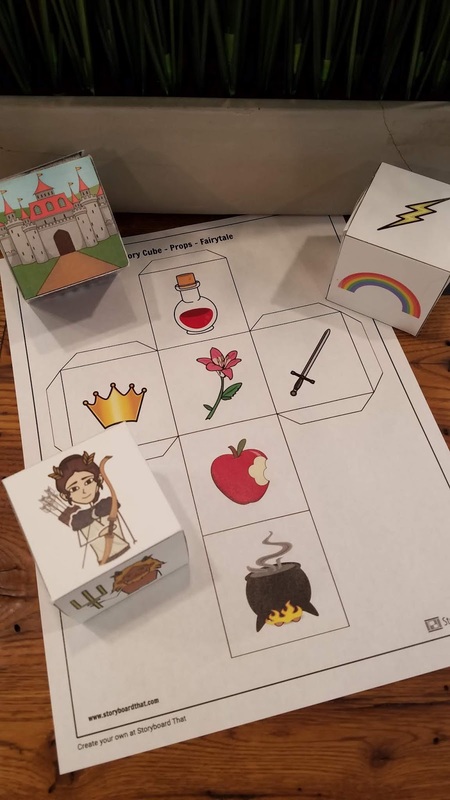 Storyboard That's new story cube template lets you and your students design printable, foldable story cubes. The process of customizing a story cube is the same as that for customizing a worksheet. The only difference is that you have to select the story cube template instead of a worksheet template at the start of the process. You can use the template to make a story cube to make story starter dice that your students roll to generate a combination of words to use as the impetus for writing a fiction story. If you decide to try this method, make a cube that has verbs, a cube that has adjectives, and a cube that has nouns. Then have your students roll all three to come up with a combination to start their stories. You can drag and drop any of Storyboard That's free artwork into your story cube before printing it. Storyboard That wants teachers to use the worksheet templates to make great-looking handouts for their students. And they encourage entrepreneurial teachers to use the templates to make materials that they can sell through services like Teachers Pay Teachers and Gumroad. In fact, that process will be explained in next week's free webinar Making Great Handouts With Storyboard That Templates.